A further selection of Scropes…. William was the second son of Richard Scrope, first Baron Scrope of Bolton. In his younger days he was sometimes associated with John of Gaunt, who made him Seneschal of Aquitaine in 1383. Subsequently, he secured the favour of Richard II, who made him Vice-Chamberlain of the Household in 1393, and granted him the castle and lordship of Marlborough. In that same year his father purchased the Kingdom of Mann for him, an example of provision was made for a younger son without dividing the main inheritance. He was given the Garter in 1394, and after the fall of Arundel, Gloucester and Warwick in 1397 was made Earl of Wiltshire and given a share of the confiscated lands. In 1398 he was promoted to the important post of Lord Treasurer. Although Scrope gets little mention in the accounts of Richard II’s reign it is clear that by this time he had become a very influential man. He was given the custody of a number of royal castles, including Wallingford and Beaumaris. He was left in England when Richard II went to Ireland in 1399, and was, in effect, the “active ingredient” in a government under the chairmanship of Edmund of Langley, Duke of York. When one considers the gallons of ink that have been used in bemoaning the execution of the saintly Anthony Rivers in 1483, it is rather surprising to discover that Henry IV has received no similar criticism for the execution of Scrope, which amounted to plain murder, Henry holding no office at the time and thus acting as a lawless, private individual. Historians do not seem to think Scrope worth arguing about, although it is hard to discern what he had done to Henry that merited such savage treatment. Subsequently, Henry’s first parliament threw a cloak of legality over the murder and confirmed the forfeiture of Scrope’s lands and possessions. William Scrope had married Isabel Russell, daughter of Sir Maurice Russell of Dorset and Gloucestershire. Although Sir Maurice was far from being a minor member of the gentry, and was particularly active in Gloucestershire, his daughter was not an aristocrat, still less a Plantagenet, and this may help explain why Henry allowed her almost nothing to live on. Richard was the third son of Henry, first Lord Scrope of Masham. He received his first rectorship as early as 1368, although he was not actually ordained priest until 1377. The very next year he was no less than Chancellor of the University of Cambridge! He had, of course, achieved considerable academic success, but it seems likely that patronage also played its part. He was a papal chaplain in Rome from 1382-1386, and became Bishop of Coventry and Lichfield in 1386. His diplomatic career included a visit to Rome to further Richard II’s attempt to have his grandfather, Edward II, canonised. He was translated to the see of York in 1398. 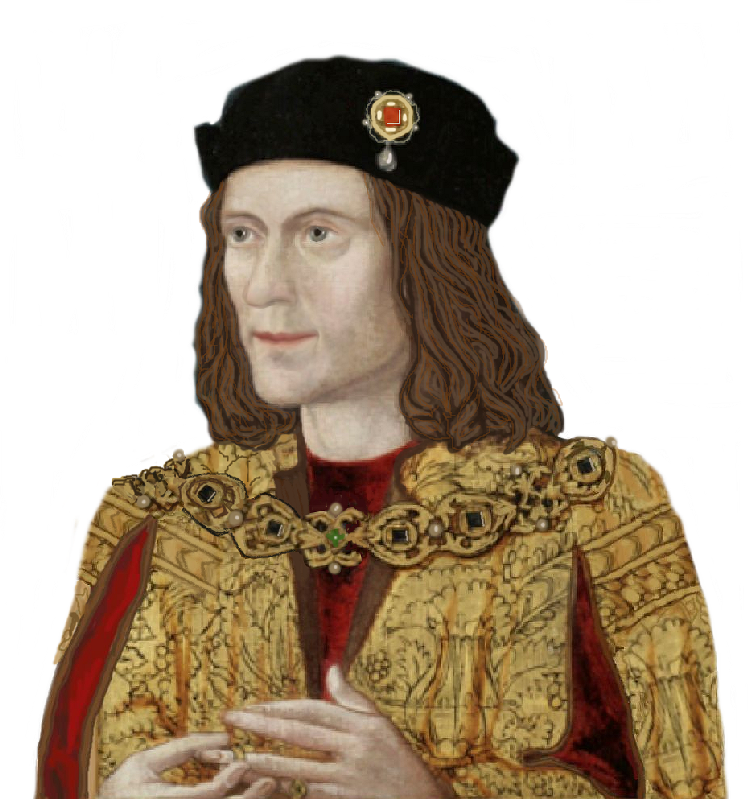 Richard was possibly under the influence of the Percy family, with whom his family had connections, and made no attempt to prevent the deposition of Richard II. Indeed, with the Archbishop of Canterbury, he formally led Henry to the throne. On the other hand, when the Percy family rose in rebellion against Henry in 1403, there is no significant evidence that he was involved. Henry IV remained deeply unpopular, not least in the North and there were a number of conspiracies against him in the years that followed. Unfortunately for them, his enemies never quite managed to coordinate their plans and bring their strength against him at the same time. 1405 was the year of the so-called Tripartite Indenture, the plan to divide England and Wales between Owain Glyndwr, the Earl of Northumberland. and Sir Edmund Mortimer. Owain had at last received armed French assistance, and was poised to invade England. It was in these circumstances that Richard Scrope, no doubt working in collaboration with Northumberland, raised an army of about 8,000 men which assembled on Shipton Moor. With the Archbishop were his nephew, Sir William Plumpton, and the young Thomas Mowbray, Earl Marshal and earl of Nottingham and Norfolk. They were met by a force headed by Ralph Neville, Earl of Westmorland, which Northumberland had failed to intercept. Instead of engaging, the Archbishop agreed to parley and was tricked by false promises into disbanding his army. After that he, Plumpton and Mowbray were promptly arrested. After a travesty of a trial – a trial in which Chief Justice refused to participate – all three were beheaded. Scrope was buried in York Minster and his tomb became an unofficial shrine. Lancastrian kings naturally sought to discourage to the cult, while the Yorkist kings, equally naturally, looked upon it with favour. However, Scrope was never officially canonised. It need hardly be said that Scrope was the first Archbishop to be executed in England – Becket, after all, was simply murdered – and with the sovereign’s full authority. He was also the last prelate to be so dealt with until the Tudor era. The Pope excommunicated all those involved in Scrope’s death, although the sentence was never published in England. Henry IV eventually secured a pardon by offering to found two religious houses; these were not, in fact, founded in his lifetime, but came to being under Henry V, and were the last such to be created in the medieval period. It was soon after Scrope’s death that Henry was struck by the mysterious illness which made the rest of his life a misery. Naturally, his enemies ascribed his affliction to the vengeance of Richard Scrope. Henry Scrope was knighted by Richard II in 1392, and was retained by that king for life in 1396. Nevertheless he rapidly transferred his allegiance to Henry IV in 1399 and served him loyally in various capacities throughout his reign. His first wife, Philippa de Bryan, was a Welsh heiress (or perhaps more correctly a heiress of lands in Wales) and part of his effort was directed towards guarding her lands against the Glyndwr rising. He inherited the Masham barony from his father in 1406, but seems to have been “running the family business” so to speak for some years. He was briefly Lord Treasurer in 1410, possibly because of his connections to Prince Henry (who was running the government at the time because of Henry IV’s illness) and Sir Thomas Beaufort. In this role he was successful, and actually left a surplus in the Treasury at the end of his service. In his private life, Scrope made a second marriage in 1410, to Joanne (or Joan) Holland, Duchess of York, the widow of Edmund of Langley. Joanne was a wealthy woman – T. B. Pugh estimated that her survival for thirty-two years after Langley’s death cost the York family in excess of £30,000. Quite apart from this, Joanne had a portion of the earldom of Kent (following the death of her brother, Edmund, in 1408) and also a share in the lands of her second husband, Lord Willoughby. The joint income of Scrope and his wife was around £1,800 a year, a vast amount for a mere baron. Unfortunately Joanne and her husband did not live in wedded bliss, and it appears that around 1413 she left him, at least for a time, taking with her about £5,000 worth of his property and decamped to her Yorkist dower castle, Sandal. In his will of June 1415 he offered her a choice of his belongings to the value of £2000 in return for her abandoning any claim to one third or one half of his goods. This suggests his belongings must have amounted to more than £6,000! Since Joanne was already engaged in a quarrel with her Willoughby stepson over personal property, it seems she was not a lady who considered material possessions to be unimportant. 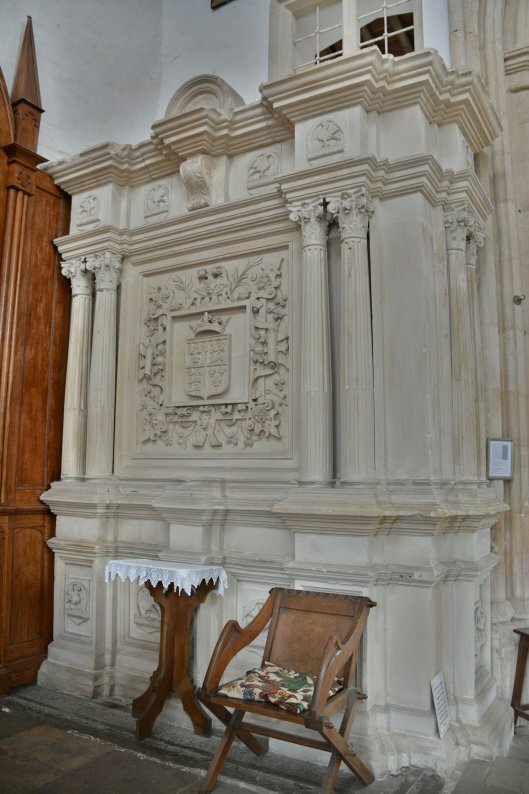 It should not be overlooked that Henry Scrope was a nephew of the late Archbishop of York, and it may be that his loyalty to the Lancastrian regime was not a fervent as it appeared on the surface. In any event he allowed himself to be drawn into the conspiracy known as the Southampton Plot led by Joanne’s stepson, Richard of York, Earl of Cambridge, which sought to replace Henry V with the Earl of March. It is equally possible that Scrope went into the conspiracy with every intention of betraying it. It appears certain that he did his best to persuade the Earl of March not to get more deeply involved – hardly the action of a convinced plotter – and that he remonstrated with Walter Lucy, March’s close adviser over the matter. Scrope was not even invited to a crucial supper party at Cranbury, held by March and attended by Cambridge, Lucy and Lord Clifford. However, it was March, not Scrope, who disclosed the conspiracy to Henry V, and the result was that Scrope was executed and all his lands and possessions forfeited. Duchess Joanne acted very promptly to secure a share of the proceeds, including a solid gold statue of the Virgin and various items of plate stamped with the Scrope arms that she claimed as her personal property. It appears nothing was done to retrieve the various expensive items she filched. Scrope’s brother and heir, and his mother, were not so fortunate. Although Henry V intended to permanently alienate most or all of the family’s lands, he had an attack of conscience on his death-bed, and the youngest Scrope brother, and eventual heir, John, was able to rebuild much of the inheritance. It is, in fact, unlikely that Henry Scrope was guilty of intending the deaths of Henry V and his brothers. It is much more reasonable to say that his offence amounted to Misprision of Treason at worst. This explains how closely the three rebels and Sir Ralph Scrope were related. Note that Sir William of Bracewell’s sons married two de Ros sisters and that the Bolton branch lived on into the seventeenth century although the Masham male line died out early in Henry VIII’s reign. Furthermore, Richard, Bishop of Carlisle, was Richard III’s cousin. Was Richard of Conisburgh illegitimate? When Anne Mortimer died in 1411, Richard of Conisbrough married the heiress Maud Clifford and swiftly had a daughter Alice. Then in 1415, he fell in with a plot against the reigning Henry V shortly before the King was meant to sail to France for Agincourt. Along with Lord Scrope of Masham and Thomas Grey, he plotted to replace Henry with Edmund Mortimer, Earl of March, Anne’s brother, who also had a strong claim to the throne. However, Edmund himself informed Henry, and the conspirators were arrested in Southampton after they had made several meetings. They seemed to have expected mercy, with a heavy fine…but no mercy was forthcoming from the stern Henry. All three men were executed; Grey hanged, drawn and quartered; Scrope decapitated and his head sent to York; and Conisbrough executed by the headsman but allowed to ‘keep his head’ with him after death due to his royal ancestry. He was buried without ceremony in the tiny St Julien’s church, which formed part of the God’s House hospital. Dating from 1185, this chapel still stands in the shadow of a massive towered gateway, although it is in private hands and can only be viewed from the exterior. So one may think Richard got his just dues for plotting against King Henry. But how serious was this plot? Was there even a plot at all? Professor Anne Curry has doubts as to its veracity as does historian T.B. Pugh. It is just as likely that Henry was simply removing a few disgruntled lords (Conisbrough had some reason to be disgruntled—he had been charged a 10,000 mark marriage fine) and sending a harsh warning to anyone who thought to defy him when he was away on campaign in France. The three plotters were not terribly organised and their supposed plots vague at best, and none of them seemed particularly supportive or loyal to Edmund of Mortimer, which may make it unlikely that they truly wanted him as king—apparently, they called him a hog and a pig! So whatever the case, Conisbrough lost his life aged somewhere between the ages of 30 or 40, but luckily, because he was not attainted, he was able to pass on his estates to his orphaned son, four year old Richard. Shortly thereafter, Conisbrough’s elder brother died at Agincourt, and in due time young Richard was acclaimed as his heir and inherited his titles and lands. Conisbrough is rather a forgotten figure, except as dealt with in a Shakespeare play. Despite the possibility he had done very little against Henry V other than grumble a bit with a few other northern lords, no one seems to mourn his execution overmuch…unlike, for instance Anthony Rivers, executed for treason by Richard III in 1483. There is certainly just as much if not more evidence that Rivers was plotting against the Duke of Gloucester on behalf of his Woodville kin; the fact that no one spoke up for him after his arrest speaks volumes. They had weeks to do so. But it seems, alas, Conisbrough did not have Rivers’ charisma…or write poetry.